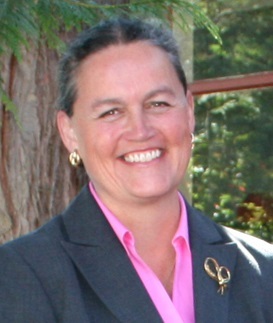 Dr. Larsen has served as Superintendent of the Mukilteo School District since July 2003. Prior to that, she spent three years as Executive Director of Teaching & Learning. From 1996 to 2000, she served as a Central Office Director responsible for curriculum, instruction, assessment, technology and staff development in the South Kitsap School District. Her first ten years of administrative positions, from 1986 to 1996, were in the Snoqualmie Valley School District, primarily as a building principal. Dr. Larsen spent her first six years in education as a teacher in the Edmonds School District. Dr. Larsen graduated from the University of Washington with a Doctor of Education Degree in Leadership and Policy Studies in 1995. Her minor area of study was Curriculum and Instruction with an “outside of education” area of study in Business Administration. In 1985, she completed her Master’s Degree in School Administration at Western Washington University. She earned her Bachelor of Arts Degree in Special Education, with a minor in Speech Pathology and Audiology. Elizabeth (Liz) Warman has served as Director of Global Corporate Citizenship – NW Region since April of 2010, managing charitable giving and employee engagement. Prior to that Warman was Manager, State and Local Government Relations – NW Region since January of 1986. Warman received her Bachelor of Arts from Washington State University, Edward R. Morrow School of Communication, with a degree in Public Relations in 1979 and a Master’s in Public Administration from the Evan’s School -­‐ University of Washington in 2009. Warman has served as a board member and chair on numerous business and philanthropic organizations. 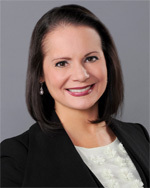 She currently serves on the boards of the Workforce Development Council of King County, the Manufacturing Industrial Council of Seattle, the Evans School of Public Affairs Advisory Committee and Philanthropy NW. During time away from Boeing, in 2001-­‐2003, Warman planned and completed a successful sailing trip to Central and South America, studying new cultures and history. She traveled both inland and water routes in Mexico, Guatemala, El Salvador, Nicaragua, Costa Rica, Panama, Ecuador, and Peru, totaling over 12,000 nautical miles. In El Salvador Warman built houses for Habitat for Humanity. Dr. Damien Pattenaude, a product of the Renton School District, grew up in the Skyway neighborhood, where he graduated from Renton High School. He went on to obtain three degrees from Washington State University: a Doctorate of Education in Educational Leadership, M.Ed in Educational Leadership, and a Bachelor of Arts in English. 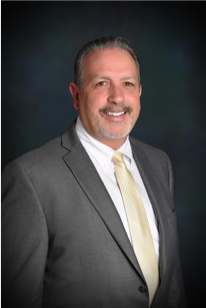 Over the past fifteen years, he has served the Renton School District as a teacher, assistant principal, principal, chief academic officer, and assistant superintendent of learning and teaching. In July 2017, Dr. Pattenaude assumed the role of Superintendent, where he will continue his focus on improving student achievement for every child. Dr. McDuffy has served 33 years in public education and has served as Superintendent of the Edmonds School District since 2016. McDuffy was superintendent of Arlington Public Schools from 2008 to 2016 and is a well-known and respected educational leader in Snohomish County. She previously served as Director of Educational Administration Programs at Western Washington University and between 1989-2003 was Superintendent of the Lakewood School District. Dr. McDuffy earned her Bachelor’s and Master’s Degrees from Western Washington University and her Doctorate in Educational Leadership from Seattle University. She started her career as a business teacher and later became an assistant principal, principal, and superintendent. She is a Snohomish County native, having attended Edmonds Community College before going to Western Washington University. In addition, she completed her student teaching at Lynnwood High School. Dr. David Beyer has served as president of Everett Community College for 11 years. He has been a visionary community college president in rural and urban institutional settings, working in both permanent and interim capacities. Professional background includes significant and varied experiences at post-secondary and secondary educational institutions, including thirty years as a leader in a multi-campus community college, with teaching experience at secondary and post-secondary levels. Dr. Beyer was president of Flathead Valley Community College in Kalispell, MT and Umpqua Community College in Roseburg, OR, and also served in an interim capacity as president of Clark College in Vancouver, WA and Wenatchee Valley College in Wenatchee, WA. He worked at Colorado Mountain College in Glenwood Springs for eighteen years in various positions including CEO/Dean of a residential campus. Dr. Beyer is married, has one son, and one grandchild. He has been actively involved with Rotary, United Way, Work Force Development Councils, Economic Development Corporations, Chamber Boards, local schools, and various post-secondary education commissions. Dr. Gary Cohn was selected superintendent of Everett Public Schools in 2009. Dr. Cohn served as superintendent of the Port Angeles School District for eight years before coming to Everett. He was vice president at Lake Washington Technical College, where he was also appointed interim president. He taught marketing and business education for Northshore School District and was recently inducted into the Washington DECA Hall of Fame. Dr. Cohn has led a group of superintendents creating a superintendent evaluation model that mirrors the growth-focused evaluation used to evaluate and foster professional growth of Washington teachers and principals. Dr. Cohn serves on the boards of United Way and YMCA of Snohomish County, Snohomish County Health Alliance, Washington Alliance for Better Schools, and the Governor’s Council for the Healthiest Next Generation at the invitation of Governor Inslee. Cohn and his wife Sue serve as Co-Chairs for the Tocqueville Society of the United Way. Dr. Cohn completed a Ph.D in education at the University of Washington, earned a MBA at Seattle University and a bachelor’s degree with majors in economics and business administration from the University of Puget Sound. As CAO, Cheryl leads McKinstry’s “Enterprise Partners” team, consisting of the HR, technology, corporate facilities, brand and communications, and business and executive service teams. This group’s work focuses on the infrastructure supporting the employee experience and enables the efficient and scalable operations of the company’s many business units. Since joining the company in July 2010, Cheryl has provided leadership to fulfill McKinstry’s vision for “great people growing and staying with us” to serve each other and our clients. During her tenure, McKinstry has transformed and expanded its people-centric approach and leadership development to attain record levels of engagement of our people and in leader effectiveness. 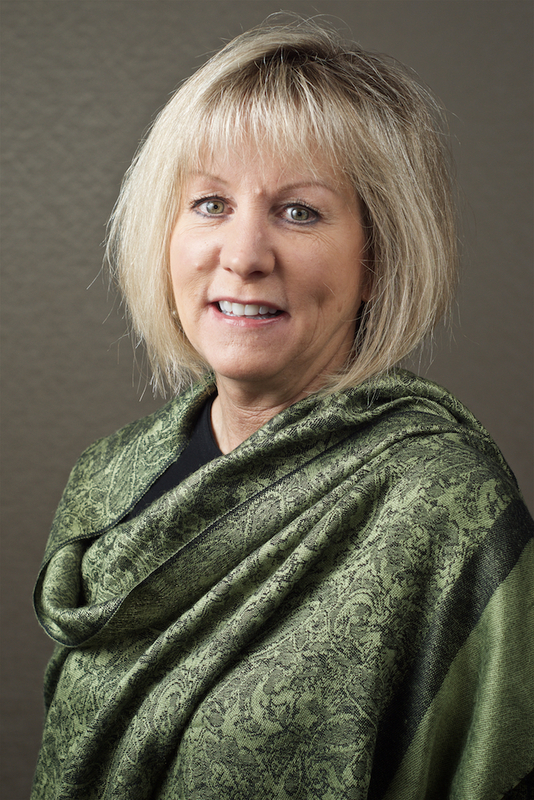 Cheryl’s background includes leadership positions in retail, banking, philanthropy, consumer marketing, and non-profits, winning regional and national recognition in each for leadership and results obtained. She earned her Bachelor of Arts in communication from Eastern Washington University and holds certifications in public relations and executive coaching. But most of what she’s learned comes from the great people she has served. Knowing every student by name, strength and need is the promise of Highline Public Schools. Under the leadership of Susan Enfield the district is delivering on this promise by implementing a bold strategic plan committed to ensuring that students graduate bilingual, biliterate with the problem-solving and critical thinking skills that will prepare them for the future they choose. A former high school English, journalism, and ELL teacher, Susan served as Chief Academic Officer and then as Interim Superintendent for Seattle Public Schools before coming to Highline in 2012. She previously held leadership positions in Evergreen Public Schools (Vancouver, WA), Portland Public Schools and the Pennsylvania Department of Education. Joel leads the community partnerships division for Providence St. Joseph Health, the third largest not-for-profit health system in the country. In this role, he oversees national and local advocacy for the system, as well as community health investment efforts that deliver $1.6 billion of community benefit into its service areas. These efforts are focused on transforming lives, while building healthy and thriving communities. He began at Providence in 2005 as chief strategy and administrative officer for the system’s Alaska Region. Prior to joining Providence, Joel served as commissioner of the Alaska Department of Health and Social Services, the state’s largest agency. Before moving to Alaska, Joel was legislative director and chief counsel for a U.S. senator in Washington, D.C. Raised in the Washington, D.C. area, Joel holds a J.D. from George Washington University Law School and a M.P.H. from George Washington University School of Public Health and Health Services. He also holds a B.A. from St. Mary’s College of Maryland. He resides in Seattle with his wife and two daughters. 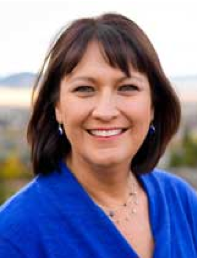 Denise Juneau leads Seattle Public Schools, Washington state’s largest K-12 school district, a vibrant and diverse community of over 53,000 scholars. Denise Juneau has spent her adult life ensuring that young people have access to a quality education that can open the doors to a better future. Her work in public schools and leading Montana’s state education agency meant increased opportunities for students and a collective boost to the state’s economy. Denise’s story takes her from Head Start to Harvard. After graduating from Browning High School, Denise received her bachelor’s degree in English from Montana State University. She continued her education and earned a master’s in education from the Harvard Graduate School of Education. After teaching in North Dakota and Montana and working at the state education agency, Denise set her sights on the legal profession and received her juris doctorate from the University of Montana School of Law. Denise is an enrolled member of the Mandan Hidatsa Tribes, a descendant of the Blackfeet Tribe, and the Tlingit and Haida Tribes. In 2008, she became the first American Indian woman in the country ever elected to an executive statewide office. In 2012, she was reelected to a second term as Montana’s superintendent of public instruction. Dr. Miner has worked in K-12 education since 1992. Previously, she taught English, Social Studies, Spanish and Special Education at the secondary level for nine years. Additionally, she has served as an assistant principal and special services administrator in Vancouver Public Schools, assistant superintendent in the Washougal School District and the superintendent in the White Pass School District prior to becoming the superintendent in Shoreline Public Schools. Rebecca earned her B.A. in English at Lake Forest College in Illinois. She earned her Masters in Teaching at Willamette University. She earned her superintendent credential and doctorate in educational leadership from Washington State University. A native Washingtonian, she was raised in Vancouver. Dr. Michelle Reid has been superintendent of the Northshore School District since 2016. Dr. Reid was formerly the superintendent of South Kitsap School District. Prior to becoming South Kitsap’s superintendent, she served as deputy superintendent, district athletic director and high school principal in the Port Angeles School District. She is known regionally and nationally for instructional leadership and crafting sustainable systems for district support of the instructional core. She has been a conference keynote presenter, STEM panel participant, and has been a leadership facilitator at both the University of Washington Center for Educational Leadership and the Harvard Institute for School Leadership. Reid received her doctorate in Educational Leadership from the University of Washington, master’s degree in Educational Administration from the University of Washington, and her bachelor’s degree in Natural Science/Chemistry from the University of Puget Sound. 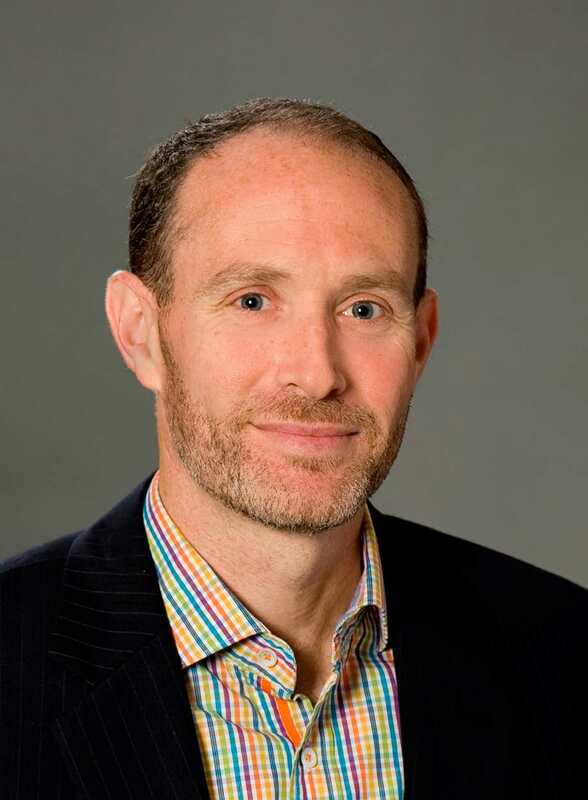 Cody Sanford serves T-Mobile’s Executive Vice President and Chief Information Officer, in charge of the company’s Enterprise IT organization. Prior to his role as CIO, Mr. Sanford served as Senior Vice President of Technology at T-Mobile, leading the integration planning and public company readiness effort in the successful merger of T-Mobile & Metro PCS. Within T-Mobile, he has served as the company’s Senior Vice President – West Area Field Sales and Operations, West Region Vice President – Retail Sales, Vice President – Enterprise Planning, and Vice President of Engineering and Operations. Before joining T-Mobile, Mr. Sanford served as Western Regional Director for The Walter Group and founded Magellan Communications. He earned a Bachelor of Arts in Political Science from the University of Washington. Pat Schirmer was named Vice President of Airplane Programs Engineering in December 2017. In this role, Schirmer is responsible for the engineering teams directly supporting the 737, 747, 767, 777 and 787 programs, including non-recurring product development efforts (737 MAX and 777X). He works with these teams to prioritize statement of work to ensure product definition and to help meet program schedules and the long-range business plan for Commercial Airplanes. Schirmer also provides strategic direction to the Engineering team for use of common processes and tools and drives integration across programs, people and business units. Before assuming his current assignment, Schirmer was Vice President of Customer Support, responsible for ensuring the health of the world’s largest fleet of commercial jetliners – more than 14,000 airplanes. Prior to that assignment, Schirmer led a Customer Support Engineering team, with responsibility for the resolution of customers’ in-service engineering issues for the 737, 747, 757, 767 and 777 fleets. A graduate of the University of Washington, Schirmer received a Master of Science degree in Aeronautics and Astronautics as well as a Master of Business Administration participating in the Executive MBA program. 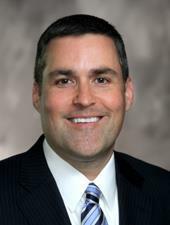 In addition, Schirmer is a graduate from the Seattle University Executive Leadership Program. Dr. Jane Stavem joined Lake Washington School District as Superintendent in July 2018. Formerly, Dr. Stavem was the Associate Superintendent for Instruction at Lincoln Public Schools in Lincoln, Nebraska. Dr. Stavem started her career in St. Paul, Minnesota where she taught K-6 music, fifth and sixth grades, gifted education, and served as a building curriculum coordinator. In 2001, she returned to Nebraska and assumed the roles of Elementary Principal and Executive Director of Curriculum and Instruction for Columbus Public Schools, and Superintendent of Blair Community Schools in Blair, Nebraska. She holds a Bachelor of Arts degree in education from Bethel University, a Master of Arts degree in Educational Leadership from the Bethel University, an administrative licensure degree from St. Mary’s University, and a doctorate in educational administration from the University of Nebraska-Lincoln. Dr. Stavem is a published author in the area of student mobility, and provides ongoing training for schools to develop consistent transition plans and practices. She was recently named as one of Lincoln’s “Inspiring Women” and is a frequent speaker and presenter at local and national conferences. Jason Thompson is currently serving as Interim Superintendent in the Marysville School District, which serves nearly 11,000 students in the communities of Marysville and Tulalip. He has worked in Marysville since 2013, serving as Executive Director of Human Resources and then as Deputy Superintendent until 2018 when he was named Interim Superintendent. Mr. Thompson received his Bachelors and Masters degrees from Whitworth University in Spokane, WA and completed his Superintendent Certification at Washington State University in Pullman, WA. He is a member of the Marysville Rotary Club and the Marysville Tulalip Chamber of Commerce. Mr. Thompson also serves on the Executive Board of the Washington Schools Risk Management Pool, as well as on the Board of Directors for the Washington School Personnel Association. A respected scholar and long-time academic leader, Dr. Mia Tuan assumed the deanship of the University of Washington College of Education on July 1, 2015. She previously served as associate dean of UO’s Graduate School, director of its Center on Diversity & Community, and director of the sociology department’s honors program. Dr. Tuan joined UO’s sociology faculty in 1996, and in 2007 joined the College of Education. Dr. Tuan has won numerous academic awards, including the 2012 Western Association of Graduate Schools (WAGS) and Education Testing Services (ETS) Award for Excellence and Innovation, for Diversifying Graduate Education in STEM Disciplines. Dr. Tuan’s research focuses on racial and ethnic identity development, Asian transracial adoption, and majority/minority relations. 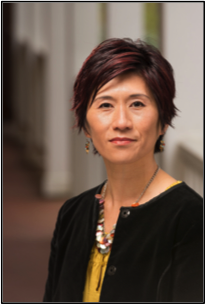 She is the author of numerous scholarly articles and three books, Choosing Ethnicity, Negotiating Race: Korean Adoptees in America; Prejudice in Politics: Group Position, Public Opinion and the Wisconsin Treaty Rights Dispute; and Forever Foreigners or Honorary Whites? The Contemporary Asian Ethnic Experience. Tuan received her bachelor’s degree in sociology from the University of California, Berkeley, and her master’s and doctorate in sociology from UCLA. 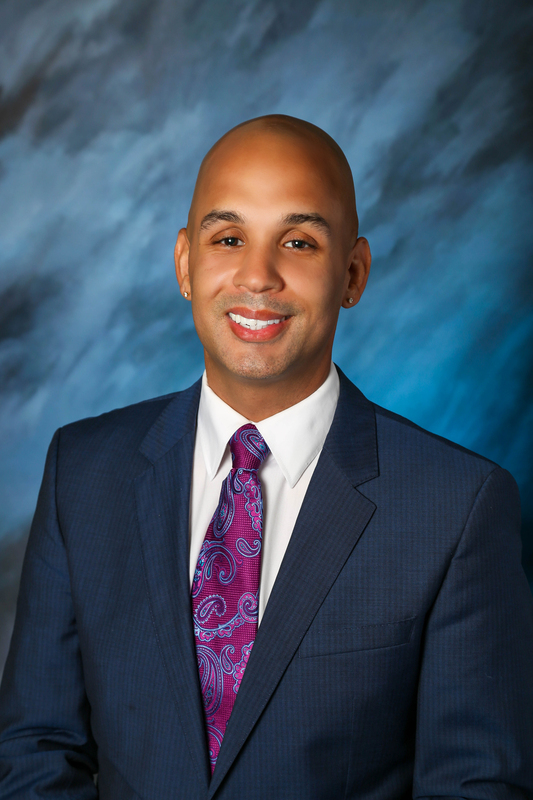 Dr. Calvin J. Watts began serving as superintendent in Kent in June 2015. Formerly, Dr. Watts served as an assistant superintendent in Gwinnett County Public Schools (GCPS) in Suwanee, Georgia, the 13th largest school district in the United States. His results-oriented leadership practices contributed to GCPS receiving the Broad Prize for Urban Education (awarded to urban school districts that significantly narrow achievement gaps among underrepresented student populations) in 2010 and 2014. Under his leadership, 100 percent of general education schools in his administrative area met or exceeded state performance standards. He has also worked in Seattle Public Schools, Atlanta Public Schools, Carrollton City Schools (GA), and the Archdiocese of Atlanta. Dr. Watts holds a bachelor’s degree in English from Howard University and received his teaching certification at Western Washington University. His master’s degree in educational administration and supervision is from the University of West Georgia, and he earned a doctorate in educational leadership from Argosy University in Atlanta. He enjoys traveling, cooking, reading, and both watching and playing sports. Dr. Watts is happily married to his wife, Robbye, and they are the proud parents of one son. 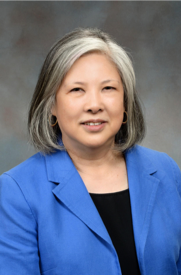 Jan Yoshiwara is Executive Director of the Washington State Board for Community and Technical Colleges, an agency which administers Washington’s system of 34 public community and technical colleges. The State Board sets policy, allocates state operating and capital funds to the colleges, strategically plans the two-year college mission, and approves educational programs. Jan assumed the role of Executive Director in July 2017 after serving as Deputy Executive Director for the State Board’s Education Division. The division consists of instruction, student services, eLearning, policy research, and performance accountability. Yoshiwara also worked with senior staff at colleges, universities, higher education and K-12 agencies, the Office of the Governor, federal and state lawmakers, and state business and labor partners to advance education goals and policies. She continues to uphold and advance these relationships as Executive Director. Yoshiwara has had a long career at the State Board. She started with the agency in 1984 and worked as Associate Director of Planning and Information Services and Associate Director for Student Services and Minority Affairs. Yoshiwara earned a Bachelor of Science in zoology from the University of California, Davis, and Master of Education in student personnel administration for higher education from Western Washington University.